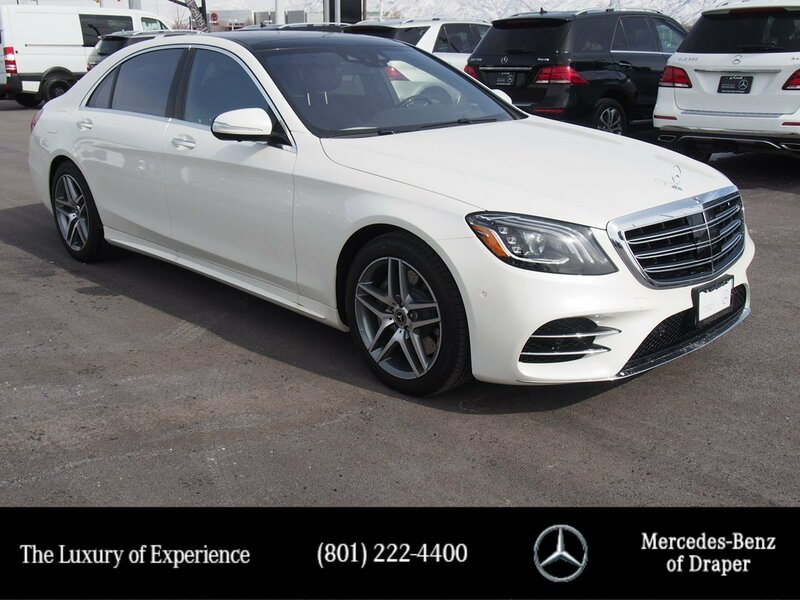 Only 1 S 560 4MATIC® model left in stock! Delivers 27 Highway MPG and 17 City MPG! 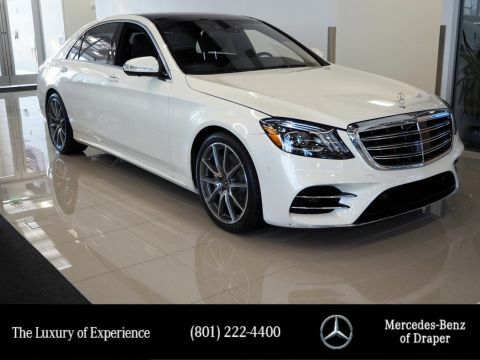 This Mercedes-Benz S-Class delivers a Twin Turbo Premium Unleaded V-8 4.0 L/243 engine powering this Automatic transmission. Window Grid Diversity Antenna, Wheels: 19 Multi-Spoke, Wheels w/Machined Accents. 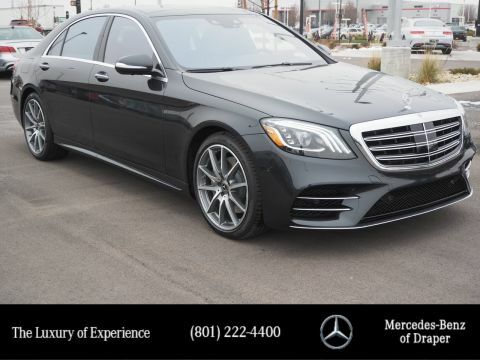 *This Mercedes-Benz S-Class Comes Equipped with These Options *Valet Function, Urethane Gear Shift Knob, Turn-By-Turn Navigation Directions, Trunk/Hatch Auto-Latch, Trip Computer, Transmission: 9G-TRONIC 9-Speed Automatic, Transmission w/Driver Selectable Mode, Sequential Shift Control w/Steering Wheel Controls and Oil Cooler, Tires: P245/45R19 Fr & P275/40R19 Rr All-Season, Tire Specific Low Tire Pressure Warning, Systems Monitor. 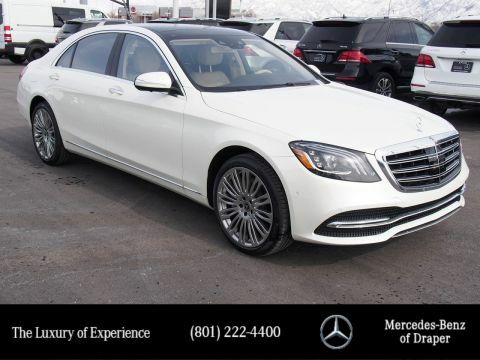 * Visit Us Today *A short visit to Mercedes-Benz of Draper located at 11548 S Lone Park Parkway, Draper, UT 84020 can get you a tried-and-true S-Class today!